The highly buzzed Tiger Zinda Hai was released last week with huge excitement among fans and as expected getting terrific response at box office. Movie’s thrilling plot and high octane actions got succeed to impress most of the audience as well as critics and received positive remarks from them. Produced by Yash Raj Films, Tiger Zinda Hai is the sequel to 2012’s blockbuster Ek Tha Tiger. Starring superstar Salman Khan and Katrina Kaif in lead roles, the movie was released with great initial buzz and gained positive word of mouth due to positive reviews from viewers. After year’s best opening in Bollywood, Ali Abbas Zafar’s this directorial took noticeable growth over the weekend and raked the business of 114.93 crores that included 34.10 crores of Friday, 35.30 crores of Saturday and 45.53 crores on Sunday. On Monday due to Christmas holiday, this action thriller remained super strong and did the business of 36.54 crores. While in normal weekdays, the movie witnessed usual drops in footfalls and bagged the amount of 21.60 crores on Tuesday, 17.55 crores of Wednesday and 15.42 crores of Thursday. After a week, total collection of Tiger Zinda Hai was recorded as 206.04 crores from 4600 screens nationwide. Now it is running in the second week and once again showed remarkable growth over the weekend. On 2nd Friday, the movie minted the amount of 11.56 crores with around 25% of drop than previous day. Then on 2nd Saturday, Salman-Katrina starrer reported 30% of jump and registered the business of 14.92 crores. On the next day i.e. 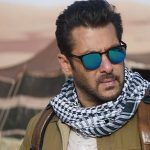 2nd Sunday, with further jump, Tiger Zinda Hai garnered 22.23 crores and raised it’s 10 days total collection to 254.75 crores. After this, it has surpassed the lifetime total of Hrithik Roshan’s Krrish 3 (244.92 crores) and emerged Hindi cinema’s 7th highest grosser of all time. Now TZH is eyeing on Salman Khan‘s Sultan (300.45 crores) and Bajrangi Bhaijaan (320.34 crores).